A group of senior medical professionals has condemned the latest series of strikes proposed by junior doctors. 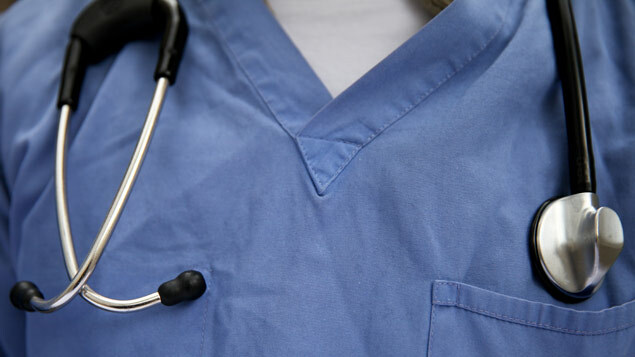 The Academy of Medical Royal Colleges called the proposed series of five-day strikes disproportionate and said it was “disappointed” at the decision by the British Medical Association (BMA) to launch further action. Junior doctors announced this week that they would call a week of strikes this month, followed by three more five-day strikes throughout the autumn. Monday 5 to Friday 9 December. “The Academy of Medical Royal Colleges is disappointed at the prospect of further sustained industrial action by junior doctors. “We are acutely aware that the NHS is under extreme pressure at the moment. Patient safety and quality of care must be the priority. We know there are genuine concerns about the contract and working arrangements, but we do not consider the proposed strikes are proportionate. The BMA has threatened to go ahead with the escalated industrial action unless the Government cancels the planned imposition of a new contract on junior doctors. Chair of the BMA junior doctors committee Dr Ellen McCourt said: “This is not a situation junior doctors wanted to find themselves in. Health secretary Jeremy Hunt has called the planned action “the worst doctors’ strike in NHS history”, while Prime Minister Theresa May accused the BMA of “playing politics”. Concerns raised by junior doctors include the impact the contract will have on part-time workers, many of whom are women, and on junior doctors working weekends, especially in areas where there is already a shortage of doctors. Danny Mortimer, chief executive of NHS Employers, said: “Employers are shocked and saddened that the BMA Council has supported the call from the junior doctors committee for further industrial action despite the BMA agreeing a deal with employers and the Government in May. “The proposed action is extreme in its scale and timing and shows scant regard for patients, nor to their colleagues who will have to work under even greater pressure when this industrial action goes ahead.